nib is to increase its presence in the adviser market, with the establishment of a dedicated nib adviser support team across the country. The change comes following the announcement by Fidelity Life and nib last month that they will not be continuing their relationship in its current form when the existing agreement ends on June 30. 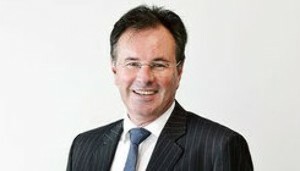 “We’ve enjoyed a successful and mutually beneficial relationship with Fidelity Life over the past five years which has helped us to establish strong relationships with advisers, reinvigorate our products and build our service offering through tools such as the First Choice network, mynib and more,” chief executive Rob Hennin said. “With so much change happening in our sector, we believe there is an opportunity for us to change the way we support advisers and their clients to help more New Zealanders get the benefit of insurance protection,” he said. From July 1, nib will introduce its own adviser partner managers, who will work closely with advisers, adviser businesses and dealer groups to help ensure their clients have health cover that protects them and their families. “We will develop and deliver new tools to allow advisers to create nib health insurance solutions,” Hennin said. “The change in distribution model will also expand our capability in the adviser distribution channel in line with our strategic ambitions to grow the private health insurance market, and in turn our share." Hennin also said that while the health insurer’s current relationship with Fidelity Life would not continue in its present form, they two businesses were looking forward to continuing their relationship. “We’ll keep advisers posted on these changes as we get closer to 30 June. In the meantime, its business as usual,” Hennin said. a) stop undercutting and compromising advisers relationship with clients by offering campaigns direct to the consumer that advisers don't have access to ie pre-existing conditions covered after a certain period. b) start underwriting thoroughly, i've been told even if the adviser provides 5 years medical notes, at the client/advisers costs, they will not be looked at during underwriting. I think nib have a good suite of products and group offering but you've got to get the fundamentals right.